Manual editing tools such as PitStop Pro are amazingly powerful in correcting last-minute problems in PDF files and making them suitable for production. PitStop Server takes that same power to an automated level; using a convenient watched folder architecture it allows you to automate inspection and correction of PDF files. It's easy to imagine how preflighting can be automated using PitStop Server, but the opportunities are much larger. It supports standards such as PDF/X, the Ghent PDF Workgroup specifications and the profiles created by your user association, publisher or printer. You can generate a full pre-flight report that lists all problems found in your files; PitStop Server supports the same user-friendly preflight reports than PitStop Pro but also allows generating comprehensive XML reports. When more integration is in order, the CLI (command-line interface) included with PitStop Server makes it a breeze. An easy mode allows instant integration of the preflight and auto-correction capabilities with standard settings, while the advanced mode allows full customization using an XML-driven integration. 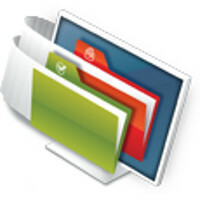 Automatically download PDF files from FTP servers or receive them through e-mail. Preflight them and notify your customers automatically of problem files. Combine PitStop Server's capabilities with other key publishing tools to create PDF files, do color management and ink optimization, image optimization, proofing, impositioning and more.